Woah, this is so YOU, Jill! Your colors, beautiful pictures, and a creative workplace with souvenirs from your travels. Such a happy place to work! And yummmm mint leaves! I’m going to try to cut off part of my plant outside and see if it will grow in a pot, because I’d love to smell some here behind my desk. Thanks for joining again, Jill! This looks like a wonderful workplace to get inspired and creative. Love the mellow colours and dashes of green – plus that influx of natural light is amazing! Thank you for joining us, Jill!! Thanks for the visit Igor! 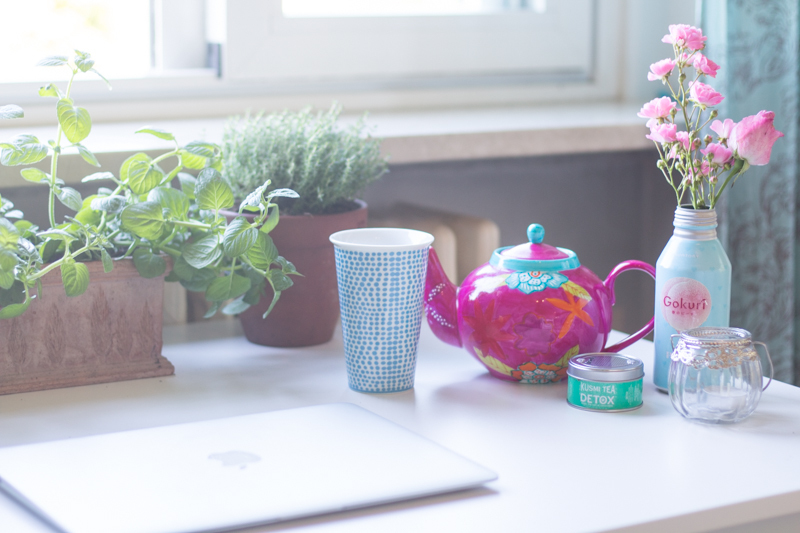 Lovely herbs and lovely workspace!